Bathsheba is a real beauty, who has followed in the footsteps of her dam, GCH Sheba FS 92 and full sister, Sapphira, FS 91. 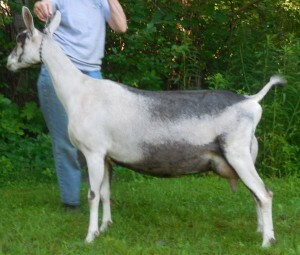 She is a wide, strong, smoothly blended doe with a beautiful topline and great depth of body. Shown once as a kid, she was 1st and Junior Champion, earning her dry leg!! Shown twice in 2013 as a first freshener, she placed first both times and Reserve GCH once. 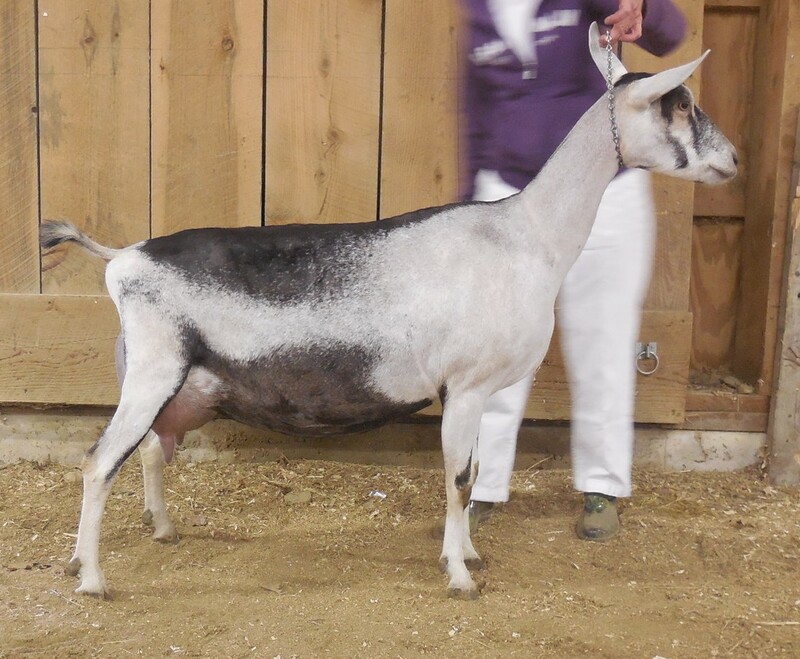 Facing strong competition from her herdmate Milly, Bathsheba placed 2nd behind Milly in the one show attended in 2014. Shown three times in 2015, Bathsheba placed 2nd to Milly in her first two shows, but when we left Milly, now a GCH, out of the way, Bathsheba placed 1st, Grand Champion and then Best in Show in her final show of the season!! Shown just once in 2016, Bathsheba went Grand champion and BOB, finishing her Championship! Appraising as a 5 year old in August 2017, the appraiser referred to Bathsheba as “stunning”!! Her permanent appraisal score of 92 E E E E makes her a third generation 92! Bathsheba has sons in California, Ohio, and Pennsylvania and Montana. We are thrilled that she has been confirmed bred to Pleasant-Grove Super Saga! !